We are excited to announce that "Cinema Show & Tell" is moving to the new Maryland Live! Hotel & the Cinemark Egyptian in Hanover, MD. Minutes from BWI Airport, an Amtrak stop, and mid-way between DC and Baltimore, the Arundel Mills property has some incredible opportunities. WELCOME TO FIRST CLASS. The Maryland Live! Hotel is a new four-star property featuring 310 luxurious rooms, 52 suites, a lavish day spa, fitness center, grand event center and concert hall, first-class dining choices and more. Come stay for yourself. Mid-Atlantic NATO's rate will be just $149 + tax per night. Please reserve early. Limited rooms available. 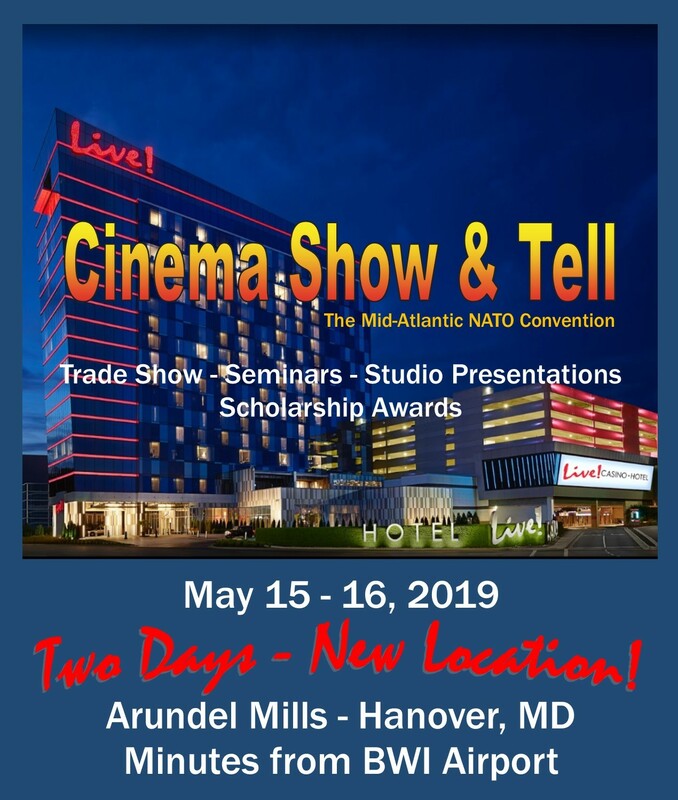 Please note, the posted resort fee will be waived for Mid-Atlantic NATO guests, and the entire property including the Casino is non-smoking except in designated areas. The adjacent Maryland Live! Casino is open 24 hours a day. It features nine restaurants, live entertainment, over 200 table games, free Wi-Fi, free parking and more! Park your car once, and walk from the hotel to Cinemark Egyptian 24 and XD/Arundel Mills. Experience XD-Extra large, extreme entertainment! Ceiling–to-floor and wall-to-wall screen, custom sound and premium seating ensure that every seat is an intense sensory experience. Have an extra day to come in early?